South Africa plunged into technical recession on Tuesday following a decline in the country’s gross domestic product (GDP) figures. okay.ng reports South Africa released its second quarter, April to June, GDP data with a decline, shrinking by 0.7%, which showed the nation has entered recession. According to GDP data obtained by TNG from Statistics South Africa, the decline in Q2 2018 economic activity was driven by a drop in agriculture, government and manufacturing industries. However, “mining, construction and electricity industries recorded positive growth in Q2 2018,” Statistics South Africa reported. The widely recognised indicator of recession is two (or more) consecutive quarters of negative growth (real GDP quarter-on-quarter). 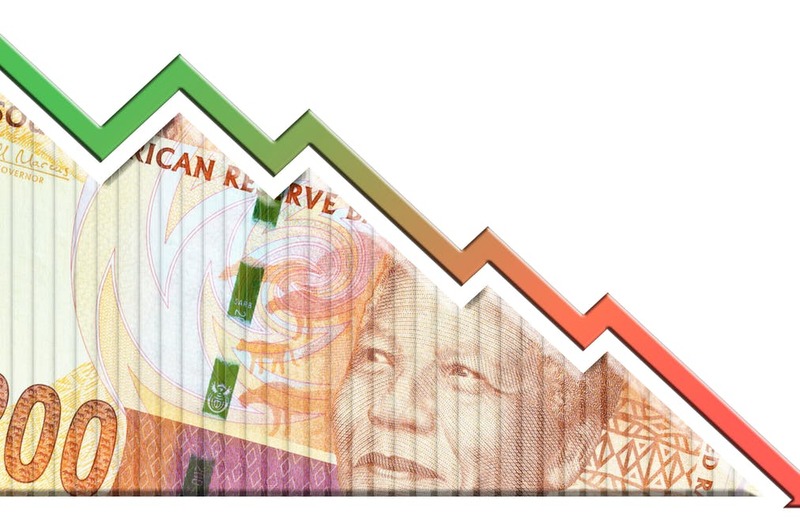 South Africa experienced its last recession during the 2008–2009 global financial crisis with three consecutive quarters of economic decline. “The 0,7% downturn in the second quarter of 2018 was a result of a fall-off in activity in the agriculture, transport, trade, government and manufacturing industries. “Agriculture production fell by 29,2%1 in the second quarter of 2018, following a 33,6% slump in the first quarter. “This was largely driven by a decline in the production of field crops and horticultural products. “Continued drought conditions in Western Cape and a severe hailstorm in Mpumalanga, resulting in extensive crop damage, also placed additional pressure on production in the second quarter. “The transport industry contracted by 4,9%, largely a result of decreased activity in both land and air transport. Industrial action within the industry, combined with a decline in freight transport, contributed to the slowdown. “The trade industry experienced its second consecutive quarter of negative growth, falling by 1,9%. Subdued sales in both motor and retail trade contributed to the decline. “South African household consumption expenditure fell in the second quarter of 2018 compared with the first quarter of 2018, in line with the fall in retail trade sales. Households spent less on products such as transport, food, beverages and clothing. “Government activity decreased by 0,5%, largely as a result of falling employment numbers in the civil service. “Manufacturing was the third industry to record a second consecutive quarter of negative growth, following in the footsteps of agriculture and trade. Manufacturing activity fell by 0,3%, driven by a fall in the production of electrical machinery, transport equipment (including motor vehicles), and products within the furniture and ‘other’ manufacturing division. “Mining, construction, electricity, finance and personal services experienced positive growth, but not enough to lift overall economic growth out of negative territory. “Mining’s growth rate of 4,9% was largely spurred on by a rise in the production of platinum group metals, copper and nickel. Construction activity increased by 2,3%, driven by a rise in non-residential buildings and construction work activities,” a statement by Statistics South Africa read.